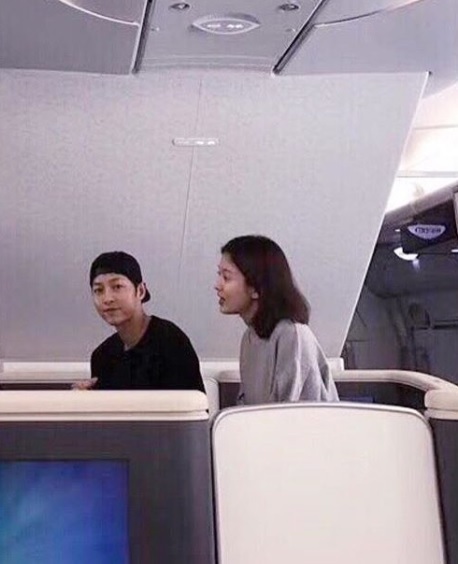 “Descendants of the Sun” alums Song Joong Ki and Song Hye Kyo will have their honeymoon in Europe after their wedding ceremony in Seoul, South Korea. The wedding will take place in The Shilla Hotel at 4 p.m. on Oct. 31, Tuesday. Kanye West and Kim Kardashian spent their honeymoon hiking in Laois County, Ireland, after getting married in Florence, Italy, in 2014. They stayed at Ballyfin, a five-star hotel located at the foot of the Slieve Bloom Mountains, Metro reported. After getting married in Ojai, California, Jim Toth and Reese Witherspoon went to Europe for their honeymoon. They enjoyed a meal at a Michelin-star restaurant called La Caravella in Amalfi Coast, Italy, People reported. This place has Renaissance-style gardens and outdoor pool that floats just offshore that make it an ideal place for a honeymoon. John Krasinski and Emily Blunt got married here and one of their wedding guests, George Clooney, owns a villa nearby. Ideal for couples looking for a Mediterranean romance, Dubrovnik is one of the best honeymoon destinations in Europe. A highly recommended place for couples here is Hotel Villa Dubrovnik. Lisbon has a long list of Michelin-starred restaurants and romantic pools and rooms with views. The must-visit areas here include Cais do Sodre and Rossio railway stations, the National Pantheon and St. George’s Castle. NBA player Tony Parker was born in this city. The top honeymoon hotels in this city are Hotel Jan Brito, Academie Hotel, Ibis Brugge Centrum, Crowne Plaza Brugge and Hotel Ter Brughe. As one of the most romantic cities in the world, Budapest has many must-visit spots for lovers including Fisherman’s Bastion, Vajdahunyad Castle and City Park of Budapest. Adult film actress Amirah Adara was born in this city. Spanish professional footballer Alberto Moreno Perez was born in this city. Among the recommended places in this city for couples are Las Casas de la Juderia, Becquer Hotel and Silken Al Andalus Palace Hotel. Couples who enjoy coastal views will love the views of the French Riviera, the Mediterranean coastline of the southeast corner of France and the state of Monaco. Aside from the royals, Ringo Starr is one of the famous Monaco residents. Located on the French Riviera, Cannes is the host city of the annual Cannes Film Festival. Among the city’s hotels for honeymooners are Villa Garbo, Hotel Le Cavendish, Hotel de Provence, InterContinental Carlton Cannes and Hotel Le Canberra.